Walking home every day from the bus stop as a child I have fond memories of walking past an old white farm house with black shutters. There was a long white picket fence along the roadside with what seemed like HUNDREDS of beautiful orange blooming tubular shaped flowers. I just wanted to pick them all and bring them home. Years later I realized those flowers where Daylilies. Now that I have a house of my own and love to garden, I love daylilies more than ever. I’ve learned that they are very easy to grow and they don’t need much attention during the growing season at all. Just a sunny spot in the garden and some decent soil and they’re well on their way. 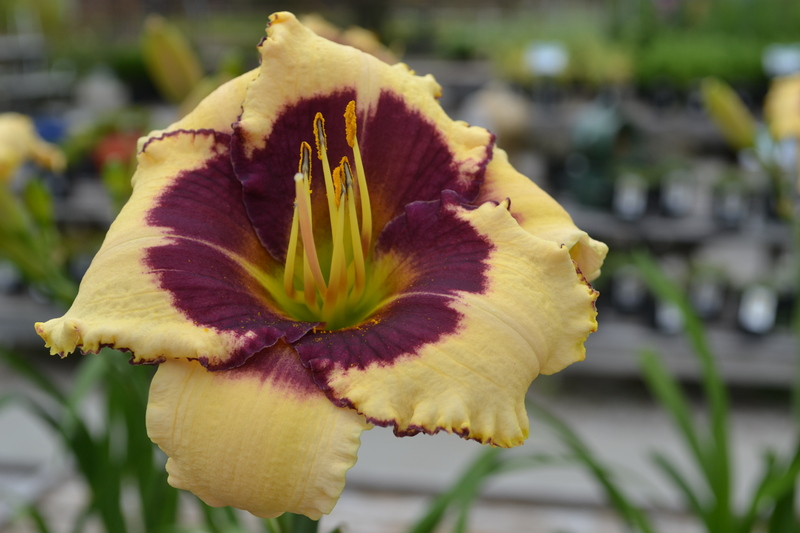 Each flower on a daylily will last for only one day, but a matured plant has so many blooms that you’ll be enjoying color for days and weeks to come. 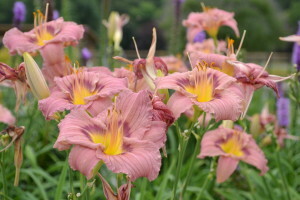 What I really love about daylilies is the vast choice of colorful and dazzling varieties available to choose from. I’ve enjoyed several varieties in my garden over the past couple of years and they just keep getting bigger and more colorful as they mature. Of course, now I’m hooked and am sure I will be adding at least one new variety to my garden every year. “Mighty Chestnut” – 30” tall, blooms in mid-summer. Incredibly unique flower color sets this daylily apart. Large, fragrant russet red-orange blossoms have a deep burgundy eye and gold throat. “Blackthorne” – 26” tall, blooms in mid-summer, rebloomer. Extraordinary light creamy yellow blossoms have a prominent wine purple eye and matching picotee edge around the broad, recurved petals. “Just Plum Happy” – 20” tall, blooms in mid-summer, rebloomer. The buds open to ruffled, mauve pink blossoms with a prominent plum purple eye and matching picotee edge. As you can tell, the multi-colored daylilies are my favorites! Solid colored daylilies in shades of yellows, reds, pinks, oranges, purples and whites can be just as dazzling as multi-colored varieties when used in shrub borders as well as in perennial beds. Shorter varieties make a nice addition to container plantings. As the old saying goes “Beauty is in the eye of the beholder”. NOTE: Daylilies are also loved by deer!! !